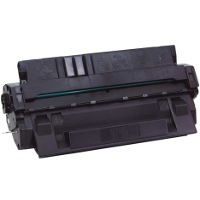 Our Compatible Toner Cartridges are guaranteed to give you the same results as new Canon toner cartridges. You use them exactly the same as you would new Canon toner cartridges - when your printer runs empty, you remove the old toner cartridge, replace it with one of our Compatible Toner Cartridges and continue printing just as you would with a new Canon toner cartridge. Save money without compromising print quality! This kit contains 500 grams of black toner powder (1 refill) plus all refill tools and instructions. This kit contains 1000 grams of black toner powder (2 refills) plus all refill tools and instructions. This bulk toner is NOT generic toner. It is manufactured to match the 3711A001AA toner, and is guaranteed to meet or exceed your current print quality. Order up to 10 bottles - Note: You will receive bottles of toner only - no refill tools or instructions. BLACK Toner - These Bottles each contain 500 grams of black toner and will provide one full refill for your 3711A001AA.